The purpose of music ministry at Trinity is to deepen spiritual relationships through the experience of music. Our music helps those who listen and those who sing or play an instrument to open their hearts to God. Music also provides all of us with a deeper awareness of our strength as God’s people in community as we offer praise and worship together. We strive to enhance the worship experience through music. We enjoy quality music in a variety of styles, including Episcopal and Lutheran music from the Reformation and the early 20th century; historic music from the American South in the mid-to- late 19th century, including music from the shape-note tradition; African-American music; contemporary music; world music from the South American and African Christian traditions; as well as modern arrangements of traditional church music. The choir sings special musical offerings at approximately 24 services throughout the year, and joins in congregational singing the rest of the year. 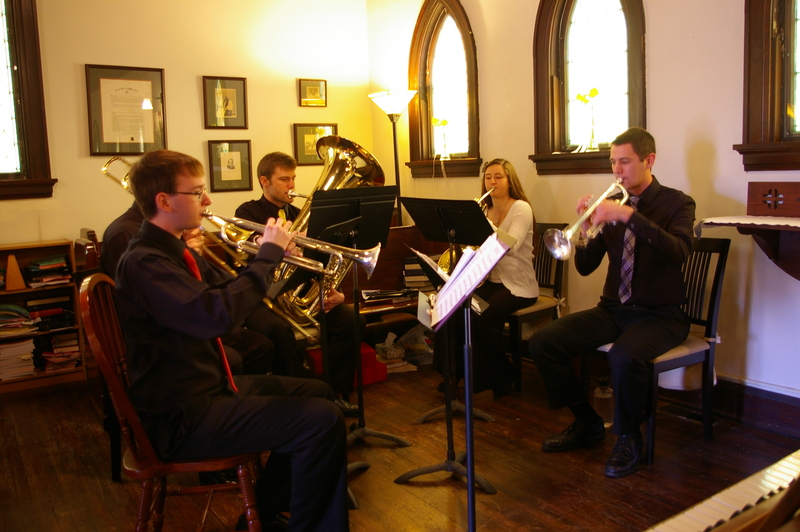 Special occasions feature stringed, wind, and/or brass instruments. The music coordinator/choir director work with the vicar to select hymns and service music and to make longer term music decisions. The coordinator helps schedule and coordinate organists/pianists, plan the annual music budget, and ensure regular tuning and repair of the piano and organ. 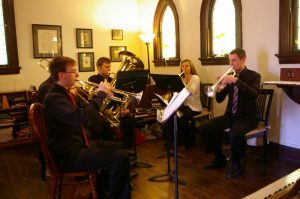 Other duties, such as maintaining the music library, working with fundraisers, and coordinating outreach efforts that involve the choir, are taken up by the choir as a whole or assigned to particular church members.